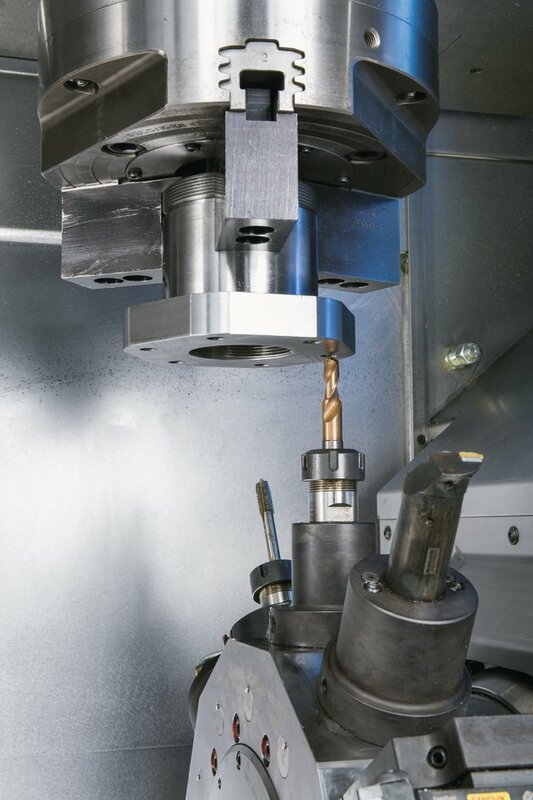 The VL 4 vertical turning center is able to machine workpieces having a maximum diameter of up to 200 mm. 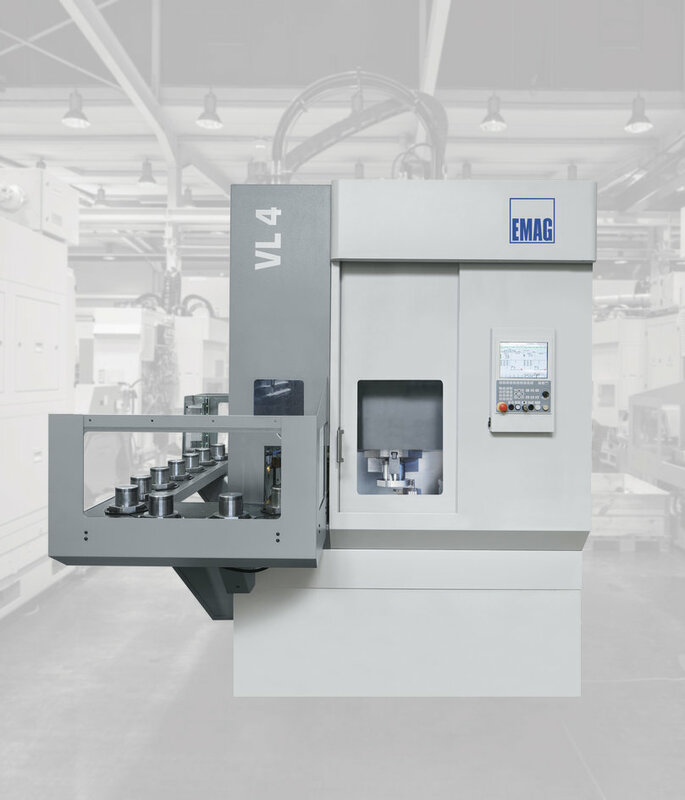 The VL 4 is one of EMAG's modular turning centers that stand out by their very compact design. Like all vertical turning centers in this series, the VL 4 also features an integrated pick-up automation system. The modular concept of the VL 4 makes it possible: The vertical turning center perfectly adapts to various applications, features an extremely compact design and has powerful drives. 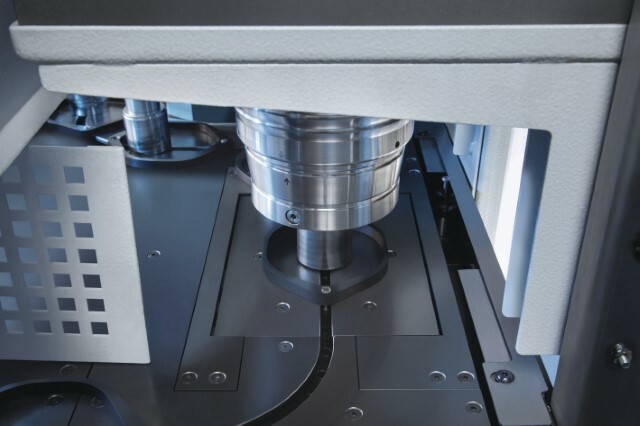 The design of the VL 4 turning center allows for the flexible implementation of various manufacturing technologies for soft and hard machining. The machine base made from MINERALIT® polymer concrete allows for low-vibration machining and ensures long tool life as well as very high machining quality when turning workpieces. The main spindle is fastened to the front side by means of a compound slide rest and enables dynamic motion along the X and Z-axes. A Y-axis for complex geometries is available as an option. A 12-post tool turret, which stands out by its very short indexing times and outstanding stability, is used for the actual machining. Excellent accessibility of the machining area and tool turret allow for the vertical turning center to be retooled in a comparably short time. A measuring station outside the machining area is available as an option for the vertical turning centers of the VL series. The measuring station is installed between the machining area and the pick-up station. Measuring is thus performed while loading/unloading, which saves considerable time. The working spindle of the turning center loads and unloads itself from the integrated parts storage using the integrated pick-up automation system. 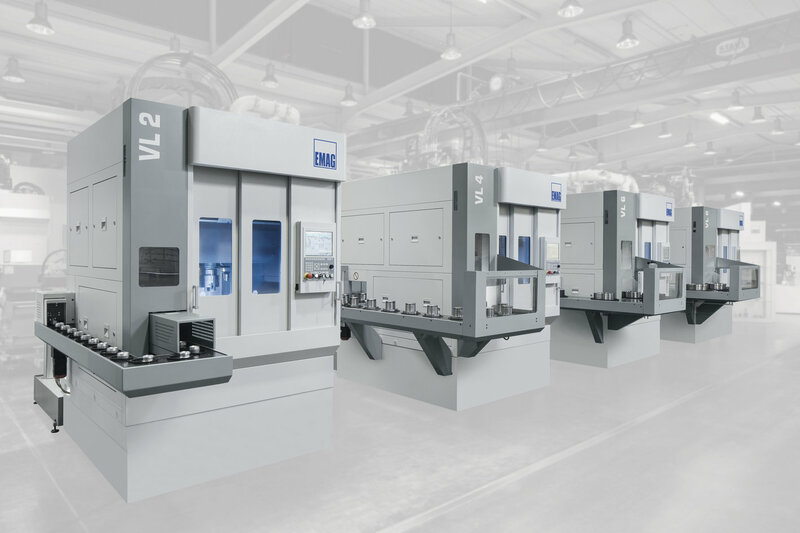 This has two distinct advantages: On the one hand, non-productive times are reduced to an absolute minimum, as the loading position is directly alongside the machine tool’s machining area. On the other, any automation solution can be integrated to supply the vertical turning center with raw parts. The VL series turning centers can also be easily interlinked. The automation of the line is thus tailored to the customer’s preference using “modular automation systems.” The TrackMotion automation system has been specifically designed for modular vertical turning centers and makes it very easy to interlink several machines.